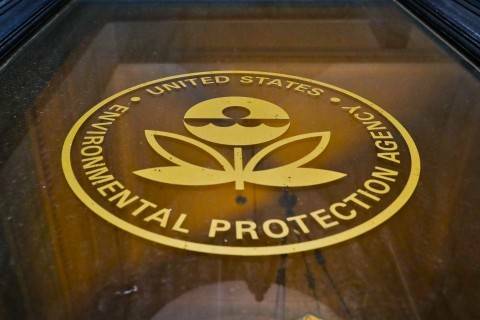 The Energy 202: The EPA is targeting biofuels. Chuck Grassley isn't happy. As chairman of the Senate Judiciary Committee, one of the congressional committees investigating Russian interference in last year's election, Charles E. Grassley is in a better position than most other Republicans in Congress to tighten the screws on the Trump administration. So President Trump raised eyebrows when he telephoned the senior senator from Iowa at the end of August. The topic of their conservation was not Russia, Grassley's office insisted — it was ethanol. That the president would take the time to call a senator about a provincial issue amid a high-stakes investigation of international election meddling strained the credulity of some observers. But the Iowa congressional delegation and the Environmental Protection Agency, led by Scott Pruitt, are indeed on a collision course over an issue central to the economic viability of biofuels — and to the farmers in Iowa growing the corn and other agricultural products that go into them. Over the past few months, the EPA has proposed weakened requirements for how much renewable fuels needs to be blended into the nation's gasoline and diesel. Since 2005, with the wars in Iraq and Afghanistan raging and desire for energy independence from the Middle East, the federal government has mandated that transportation fuel contain a certain percentage of renewable fuel derived from corn, soybeans and other foodstuffs. So every year, the EPA sets the Renewable Fuel Standard, which required that a certain volume of biofuels, including ethanol, be mixed into the gasoline and diesel supply. And in every presidential election, promises to support that program have become a staple of campaign rallies and diner visits ahead of the first-in-the-nation caucuses in Iowa. In many ways, Trump was an unprecedented candidate who made unprecedented promises. But on this issue he was utterly conventional — conventionally supportive, that is, of biofuels. Ahead of Iowa’s GOP caucus in February 2016, Trump repeatedly slammed Sen. Ted Cruz (R-Tex.) over his ethanol stance. Like some other Republicans from oil and gas strongholds, the senator from Texas wanted to abolish the RFS. In part because of Trump's remarks, Grassley began embracing Trump long before the rest of the GOP establishment did, appearing at a rally with him in January 2016. “We have an opportunity once again to make America great again,” Grassley told a crowd in Iowa, echoing Trump’s campaign slogan. That promise to support ethanol helped Trump place second in the Iowa caucus and go on to win that and other Midwestern states in the general election, said Grant Kimberley, a corn and soybean farmer in Iowa and executive director of the Iowa Biodiesel Board. "Rural American elected President Trump," Kimberley said, "and that was one of the key factors in the Midwest." Right now, though, the biofuel industry feels as if it’s under siege by the Trump administration. At the beginning of the year, when Grassley and other Midwestern senators met separately with Pruitt and Rick Perry as they prepared to vote for them to run the EPA and the Energy Department, the pair of oil-state nominees promised — unprompted — to support ethanol. In July, the EPA proposed reducing the amount of biofuel required to be blended into gasoline and diesel to 19.24 billion gallons for next year, but kept the total for conventional biofuels at current levels. “He ran on a platform of supporting ethanol and he was still for ethanol, and he wanted me to tell the people,” Grassley told me in an interview earlier this week. The proposal is in line with what the oil and gas industry want (those energy producers think the RFS adds to the cost of refining petroleum and wants to see Congress rewrite the underlying 2005 law). "Until Congress acts to address the structural flaws with the RFS," Frank J. Macchiarola of the American Petroleum Institute wrote in a letter to the EPA earlier this year, "lowering the volume requirements in 2018 is the most effective short-term way for EPA to address the problems created by the RFS." Yet in none of Grassley's conversations — with Pruitt, with Perry or with Trump — did the administration make specific assurances about RFS levels going forward, the senator said. “It was just pretty generic,” Grassley said in the interview of meeting with Pruitt and Perry. And Grassley spoke with Trump for only about two minutes during that August phone call, he said. Grassley said he spoke with Trump again about ethanol in late September. Earlier this month, Grassley and 37 other senators from both parties wrote a letter to Pruitt urging him to grow blending targets. Midwestern governors are now preparing their own letter, too. Iowa’s two GOP senators, Grassley and Joni Ernst, along with other members, are scheduled to meet with Pruitt on Tuesday to discuss the RFS, said the senator, adding he will urge Pruitt to maintain the Obama numbers. That perception of a divide between Trump and Pruitt is shared by some in the agriculture sector. "I think he's doing his own thing," Kimberley said of Pruitt. "Our goal is to remind the president of his promises." The senior senator from Iowa, which got more than a third of its electricity from wind in 2016, also recently dinged Pruitt for seemingly misunderstanding tax credits for wind energy. While traveling in Kentucky when announcing the repeal of the Clean Power Plan, Pruitt called for the elimination of wind and solar tax credits. “I would do away with these incentives that we give to wind and solar,” Pruitt told an audience on Monday, even though both are scheduled to phase out over the next five years. The deadly fires in Northern California entered a fifth day of destruction on Thursday. And while the winds fanning the flames had somewhat calmed, giving firefighters a respite from dry, “red-flag” conditions, the work has not let up. The Post’s Cleve R. Wootson Jr., Sandhya Somashekhar, Kristine Phillips and J. Freedom du Lac report that officials focused on searching for the missing and the dead. As of Friday, 31 people had been killed, more than half in Sonoma County. There are 400 people still unaccounted for, out of the 1,100 who have been reported missing. The devastation is the state’s deadliest wildfire on record, exceeding the 1933 Griffith Park Fire that killed 29. “We’ve found bodies that were almost completely intact; we’ve found bodies that are nothing more than ashes and bones,” Sonoma County Sheriff Robert Giordano said at a news conference Thursday. More than 20 fires have burned across the northern part of the state. The fires have scorched more than 3,000 homes and buildings and destroyed more than 190,000 acres — a collective area about the size of New York City. About 4,000 people are huddled in evacuation centers. There are 100,000 customers without power, Utility Dive reports. 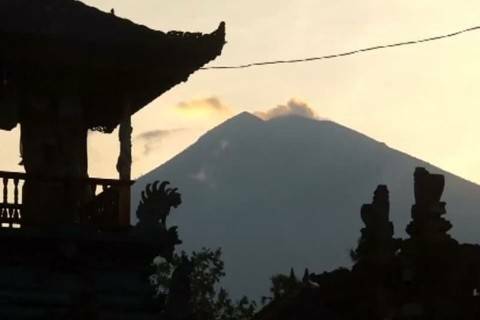 It’s unclear when many people will be able to return home, as evacuation zones continue to expand. And the fires are affecting the air quality across the state. It's the worst level of pollution since 1999, when data collection began, reports NPR. 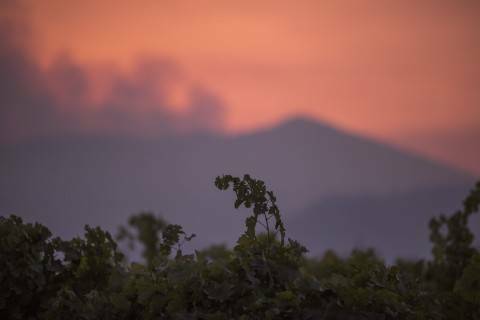 On Tuesday in Napa, Calif., the air quality index was 404 for small particulate matter. Anything above 100 is unhealthy for sensitive groups. 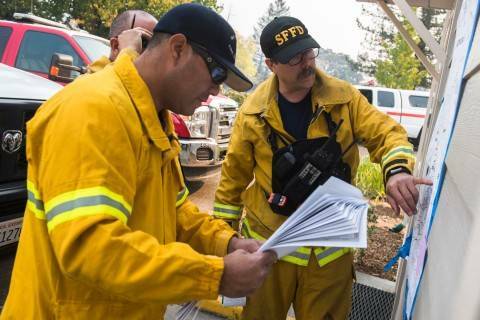 “These fires are a long way from being contained, so we’re doing the best we can for people that have been displaced and help them to hopefully rebuild their lives,” said Barry Dugan, a Sonoma County spokesman. The National Weather Service reports that the winds that had died down on Thursday would kick up again over the weekend, which could breathe new life into the deadly flames. Here are some images of the smoke affecting the state. Days without sleep and hours without food, weary firefighters continue battle against historic California blazes. Despite the utility’s claims that “hurricane strength” winds battered its power lines, weather records show speeds were half that as wildfires started. The Environmental Protection Agency has identified its priorities, and climate change is not one of them. -- Hill grill: On Thursday, Perry was grilled by lawmakers on the House Energy and Commerce Committee about a plan pending approval from the Federal Energy Regulatory Commission that would subsidize coal and nuclear power plants for the reliability they provide to the electric grid. - Trump picks CEQ head: Trump taps a climate skeptic for top environmental post. Late Thursday, the president made his long-expected pick of Kathleen Hartnett-White, a former chairman of the Texas Commission on Environmental Quality, to head the Council on Environmental Quality, The Post’s Brady Dennis and Chris Mooney report. Her job will be to coordinates environmental and energy policies across the federal government. And like many top Trump officials, she’s highly skeptical of the scientific consensus on climate change. 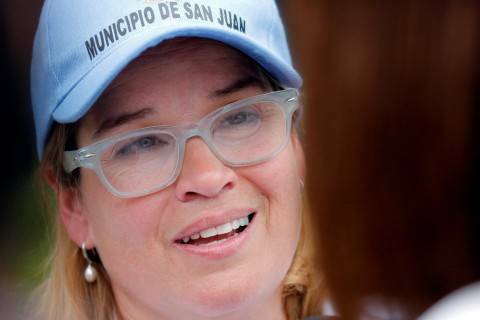 --Puerto Rico is now a political cleanup effort too: Democrats lambasted President Trump for his Thursday morning tweets signaling he may abandon the recovery effort in Puerto Rico. FEMA needs to stay until the job is done and right now, it's not even close to done. Jose Vazquez was listening to the radio this morning when the programming was interrupted by a special report. --Meanwhile, help is actually on the way: The House voted Thursday to approve $36.5 billion in disaster relief funding to keep Puerto Rico and the U.S. Virgin Islands afloat and to fund an effort to combat the wildfires out West. Lawmakers “called for swift passage of a bill that largely mirrors a White House demand for aid,” reports our colleague Mike DeBonis. --But at least some Republican lawmakers are defending the commander-in-chief. Rep. Scott Perry (R-Pa.) called the response a “success story” and echoed the president’s tweets in a Thursday interview on CNN: "I think the point the President is making is that FEMA has a finite mission and a finite amount of time to be there," he said. "At some point, it's up to Puerto Rico to get themselves out of this situation and help their people." -- Here’s a reality check from our colleague Philip Bump: We may never know how many people died in the aftermath of Maria. The death toll — which was at 16 during President Trump’s visit to the territory, which he touted as impressively low — rose to 34 following his departure. BuzzFeed later reported that funeral homes on the island had bodies that were not included in the official count, some unrelated to the hurricane. “The question that arises, then, is: How are those fatality counts determined? What counts as a death from the storm and what doesn’t? And to what extent could an administration eager to keep that figure low put its finger on the scale?,” Bump asks. That’s in part because of how deaths and death certificates are reported. “Hurricanes” are not always listed as the cause of death. Timing is a factor, as is the type of death. In the weeks since the hurricane hit, there’s been widespread outrage over the official emergency response. 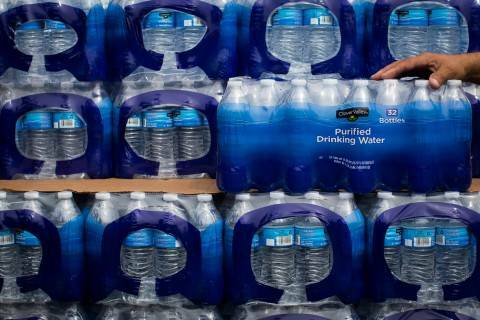 Three weeks after Hurricane Maria, much of Puerto Rico still lacks safe tap water, and bottling plants are crippled, leaving residents to scramble after scarce supplies from the mainland. -- Did businesses really hate the Clean Power Plan? Lost in the noise following the EPA's announcement to repeal the Clean Power Plan is this point made by Alana Semuels in The Atlantic — that the Trump administration's portrayal of the CPP as anathema to the business community just didn't square with reality. Yes, there were powerful business associations, like the U.S. Chamber of Commerce, that opposed the CPP. But other big U.S. firms — including not just Silicon Valley giants like Apple and Google but also some energy firms like Dominion Resources — wrote letters and filings in favor of the plan. "The divide highlights something that is becoming increasingly obvious as the Trump administration rolls back various Obama-era policies," Semuels writes. "The business world isn’t a monolith, and some benefit from regulations that others detest." A NASA satellite zeroes in on how and where humanity is contributing to climate change. The answers are unpleasant. 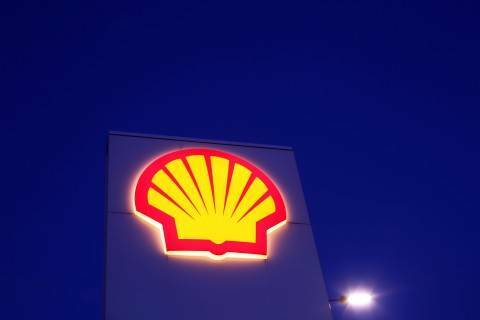 Royal Dutch Shell, a leading global oil and natural gas producer, will purchase a top European operator of electric vehicle charging stations in a push to roll out the technology at its service stations. -- A tale of two economies: The town of Ely, Minn., is home to abundant mining opportunities. “People do not end up here by accident. For most of the town’s history, the main reason they came was to make a living off the rocks,” writes Reid Forgrave for the New York Times Magazine. But the Land of 10,000 Lakes also attracts 150,000 visitors every year, who come for the Boundary Waters Canoe Area, the country’s most popular national wilderness area. "[T]here’s a generations-long rift in Ely — between those who believe minerals are the region’s greatest asset and those who believe clean waters are — that has been laid bare recently," Forgrave writes. -- "Katrina brain:":Politico has a moving piece about the unseen, long-term effects that megastorms have on its survivors. Politico’s Christine Vestal writes that “public health officials say that, in the aftermath of an extreme weather event like a hurricane, the toll of long-term psychological injuries builds in the months and years that follow, outpacing more immediate injuries and swamping the health care system long after emergency workers go home and shelters shut down. That’s the rough reality that will soon confront regions affected by this year’s string of destructive hurricanes." -- The alt-scientist: FiveThirtyEight profiles Arthur Robinson, a rogue chemist and failed politician who has turned his home into an extensive lab, which he calls the Oregon Institute of Science and Medicine. In it he has a fantastic equipment like a $2 million spectrometer, reports FiveThirtyEight’s Daniel Engbar. Robinson is also a leading climate-change skeptic financially backed by the Mercer family and what Engbar calls the grandfather in the "alt-science” movement." He has been shortlisted to become Trump's science adviser. The Bipartisan Policy Center holds an event with former Energy Secretary Ernest Moniz on October 18. Jeff Goodell discusses his book "The Water Will Come: Rising Seas, Sinking Cities, and the Remaking of the Civilized World" on October 24 with Sen. Sheldon Whitehouse (D-R.I.).